Bulgaria's National Assembly* does not approve the European Commission's proposal to reform the system of own resources of the European budget by introducing a Financial Transaction Tax (FFT) and a European Value Added Tax (EVAT). This "would lead to additional tax burdens for EU's citizens and businesses, and would provoke negative attitudes to the EU among the European tax payers," Bulgarian MPs from the parliamentary Committee on European Affairs and the Budget and Finance Committee believe. At a joint meeting they have discussed the Commission's proposal for the new EU Multiannual Financial Framework (MFF) 2014-2020. According to MPs, "the focus shift from GNI to additional taxes in EU budget's instalment formation will not take into account the actual economic development of the Member States." As euinside wrote, the Commission has proposed a financial transaction tax to be introduced from 2014, as the revenues are distributed among the EU budget and member states. According to the Commission, the new tax could be a source of own resources for EU's budget. The Bulgarian position is that "a new FTT at EU level would lead to a loss of competitive advantages for the financial institutions within the EU, and also, to a loss of competitiveness for the European financial markets in general – transactions moving into new markets (regions). For the countries with insufficiently developed stock markets, such as Bulgaria, a new taxation would further jeopardise their development and reduce the alternative options to finance the business." Bulgaria has also expressed a negative attitude to another proposal of the Commission - for a common consolidated corporate tax basis. It was rejected by the Committee on European Affairs in the Bulgarian parliament on grounds that "the idea of further consolidation of the tax systems of the Member States should not lead to additional administrative and financial burdens on citizens and businesses. Potential changes should not have a negative impact on predictability, stability and competitiveness of the business environment." According to information from the Committee, seven more national parliaments have voiced disagreements with the proposal (the Netherlands, Sweden, Slovakia, Romania, Poland, Malta, Ireland). 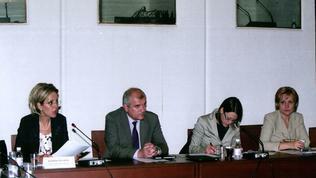 While having objections to the revenue side of the MFF, Bulgarian lawmakers agreed with the expenditures. 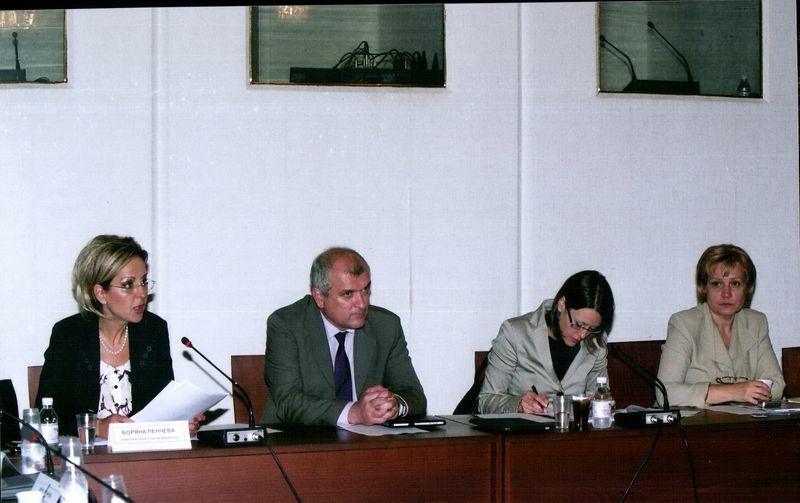 According to them, of the key policies of the MFF of great importance for Bulgaria are the Cohesion policy, the Common Agricultural Policy, the external borders control and illegal migration management, as well as the Neighbourhood and Development Policy. Bulgaria believes that it is necessary to increase the Cohesion policy expenditures "with an accent on fostering basic infrastructure development." Especially for "regional and road sector it is possible to think about focusing investments on a few but significant and major projects," the opinion of the European Affairs Committee on the future of the Cohesion Policy reads. According to the Ministry of Finance, the Cohesion Policy funds should be increased but "the maximum funding limit of 2.5% of GNI [gross national income] is too low." Bulgaria believes that the inclusion of so-called 'intermediate regions’ should not be done "at the expense of reduction of funds for the least developed regions." The issue of the next MFF and the resistance to the idea of a common consolidated corporate tax base have been repeatedly raised during the discussion organised by euinside in Sofia on July 2, in relation to the reform of the EU economic governance under our project European Parliament on your websiDe. The debate on the next multiannual financial framework 2014-2020 will be opened with a major conference in Brussels on 20 and 21 October. The event will be attended by officials with the European institutions, national parliaments, analysts, NGOs and business representatives. euinside will also be there and will follow the discussions, which should then be continued at national level. The negotiations on the next multiannual budget will continue over a year and are expected to end with an agreement in December 2012, to allow the MFF for 2014-2020 to be finally adopted in 2013. * The Bulgarian Parliament's Statement on the new MFF, expressed via both Committees, will be sent to the European Commission and the European Parliament in the framework of the intensive political dialogue.